BrewDog takes on the big dogs – will its advertising cut through with mainstream beer drinkers? September 19, 2018, 8:37 a.m. In its well-documented climb from independent disruptor to industry giant, craft beer brand BrewDog has successfully created a unique name for itself, now sitting at the top of the shelf alongside major industry names. When it comes to shock factor, BrewDog is rarely one to hold back. Back in spring the brand was criticised for its ‘Pink IPA’ marketing campaign – a pink branded beer for women. While the campaign was in fact a satirical attempt to highlight the issues within gender specific marketing, many rushed to describe it as a ‘cynical marketing stunt’. YouGov brand tracking data shows that the brand’s ad awareness (whether someone has seen an advert for a brand) has risen from +2 to +7. Not only that, but it’s managed to get people talking, with word of mouth (whether you have talked about a brand among friends of family) rising from +3 to +7. With BrewDog already dominating the craft beer industry, it is now looking to take on high-profile mainstream beer brands. YouGov profiles data shows that there is certainly scope for this to be achieved, with current customers of some of the UK’s largest beer brands saying that they would consider purchasing it. 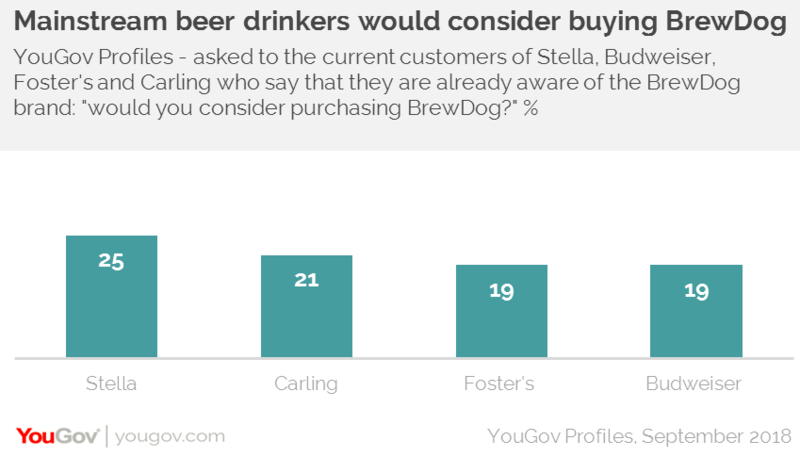 Among the brands targeted in the ad campaign, 25% of Stella’s current customers (who also say they are aware of the BrewDog brand) would consider it, followed by 21% of Carling’s, 19% of Budweiser’s and 19% of Foster’s. Almost eight in ten (78%) current customers of Budweiser (the lowest scoring of the brands in the campaign) say that they like to try new drinks – which certainly poses a worry in this case. So the data shows that BrewDog has made a well-judged move, as there is a substantial proportion of mainstream beer drinkers who have the potential to be swayed. 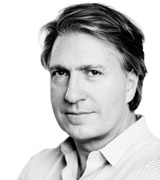 The bold ad campaign has achieved cut-through – and the brand will now be looking to capitalise on it.